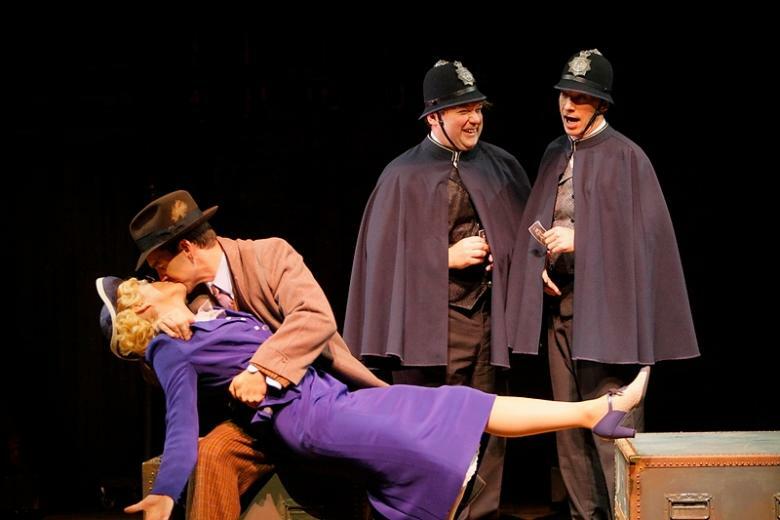 As frequent readers of this blog know, “The 39 Steps” has been adapted by playwright Patrick Barlow to the stage, following the storyline of Alfred Hitchcock’s 1935 film along with elements from the novel by John Buchan. The original novel and movie helped to establish the modern-day spy story. As most of you remember, this story involves Richard Hannay, who gets blamed for a murder he did not commit and goes on the run from London to the Scottish Highlands trying to stop spies who are trying to smuggle a vital secret out of the country in the pre-war United Kingdom. This war is World War I in the novel and World War II in the movie and play. This play features more than 150 characters which are brought to life by a cast of four actors. All four are based in the Twin Cities in Minnesota. Robert O. Berdahl plays Richard Hannay, the bored everyman who gets involved in secrets and spies. Berdahl graduated from Gustavus Adolphus College in Minnesota. Sarah Agnew plays all three female characters who are also potential lovers for Hannay. The wig design (probably by the costume designer) for her worked most effectively. All the actors are effective, but the switching from character to character of the clowns, sometimes within seconds using only hats, makes one appreciate the craft of these thespians. The set and props get the audience involved from the get go. Sheep on wheels represent a flock of sheep, and life-size kilted cutouts operated by the actors comprise a huge Scottish political parade. Travel trunks become trains. As the characters crawl up and down on these trunks, they flap their hats and coats to indicate a strong wind. In this interview, which you can read here, set designer Richard Hoover discusses the production. Much of the dialogue is used exactly from the movie. Fast changes of costume and smart theatrical tricks are utilized to show character changes. The director makes this all work nicely. Here is a rather well-done guide to the play, book and movie in all its incarnations. Also, long-time readers will remember that Adam was featured on the stage for a post-play discussion after one of the New York City performances of “The Thirty-Nine Steps.” The Guthrie theater is doing that as well following the matinee performances on Saturday, November 20, Sunday November 28 and Saturday, December 4. There, audiences will have an opportunity to enjoy a post-play discussion with actors, artists, and theater staff. This entertaining version of the play runs through December 19, 2010 and you can get more information here. All Hitchcock fans who find themselves anywhere near the Twin Cities before December 19 are advised to go! Thanks to my pal and fellow Hitchcock fan Mike Callies, who works at the Guthrie, for attending a production of this show with me! “Dial M” begins when illicit lovers Margot Wendice (Grace Kelly), a married woman, and TV mystery writer Mark Halliday (Robert Cummings, previously seen in 1942’s “Saboteur”), are reunited in London. 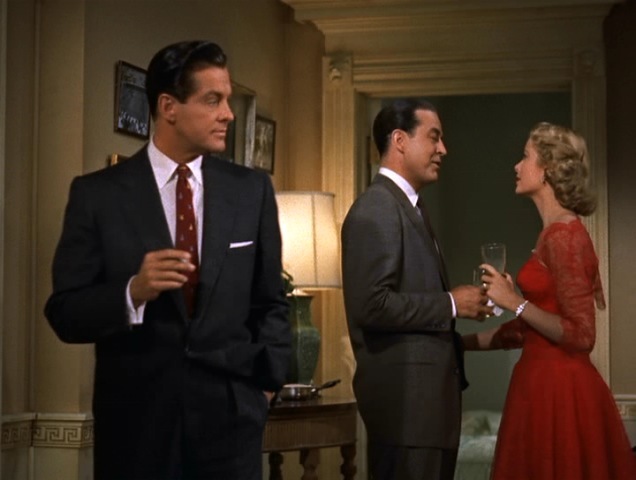 Although they believe their affair is still secret, Margot’s husband, former tennis player Tony (Ray Milland), is aware of it, and has been coolly plotting his revenge. Margot explains to Mark that her purse had been stolen earlier that year, with the one love letter of his that she had kept still inside. The purse was recovered eventually, but the note was gone – and now, she’s being blackmailed by Tony himself, although she does not know it. After Tony insists on staying home while Margot and Mark go to the theater, Tony contacts C.A. Swann (Anthony Dawson) under the pretense of wanting to buy his car. Swann, a former classmate of Tony’s, has been exploiting wealthy widows and skipping out on unpaid bills across England. Tony uses this information to blackmail Swann into agreeing to murder Margot, all the while calmly wiping his fingerprints from drinking glasses, doorknobs and chairs. The next night, Tony and Mark go out after Tony goes to great – almost unbelievable – lengths to talk Margot into staying home. Finally, she agrees, and Tony leaves a key where Swann can find it. 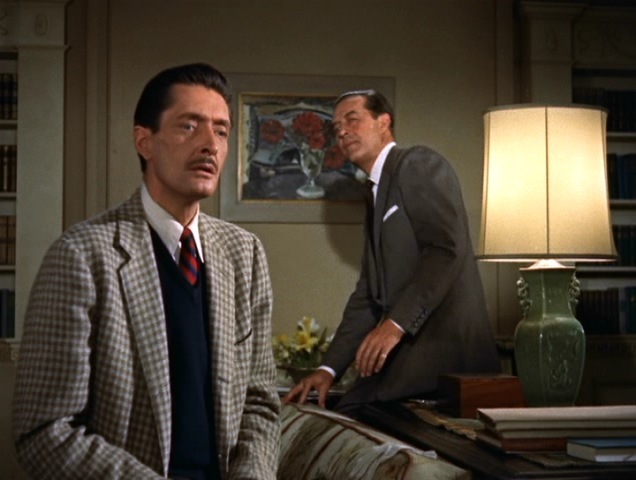 Swann slips into their apartment, but when the phone starts to ring, he hides behind the curtains. 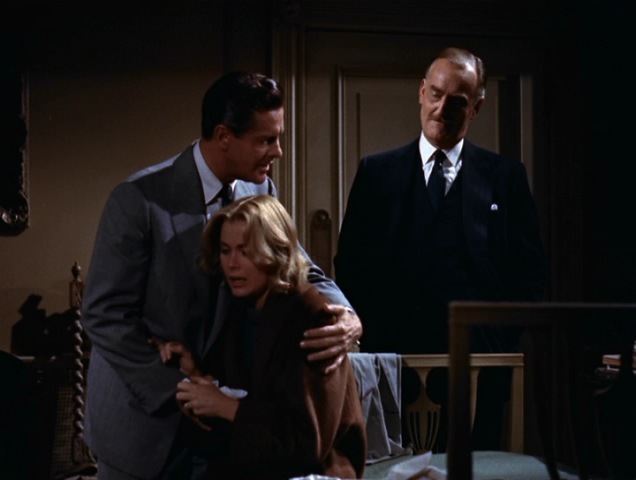 Margot gets out of bed to answer it, and Swann attacks her, trying to choke her with a stocking. She manages to break free, and in the struggle she finds a pair of scissors and stabs him in the back. (The editing in this sequence is like a preview of the shower scene in “Psycho.”) He falls to the floor dead, and Margot hears a voice on the phone: It’s Tony, trying to get her attention. Tony races home, calms Margot and puts her to bed, and deals with the police, believing that he’s committed the perfect crime. He doesn’t have to deal with Swann, and while he waits for the police, he sets things up to make it look as though Margot had killed Swann in cold blood. The next morning, Chief Inspector Hubbard comes to the apartment, asking questions that cast doubts on Margot’s story, leading to her arrest. Tony acts outraged but has actually planted doubts of his own; the night before, he told the police a version of the events that is at odds with Margot’s story. In a brief sequence that borders on surreal, Margot is seen under different color lights as she is arraigned, tried and sentenced to death, her expression subtly changing with each stage of her trial. The color shifts and her lack of dialogue make the point that Margot is in shock as her ordeal continues. 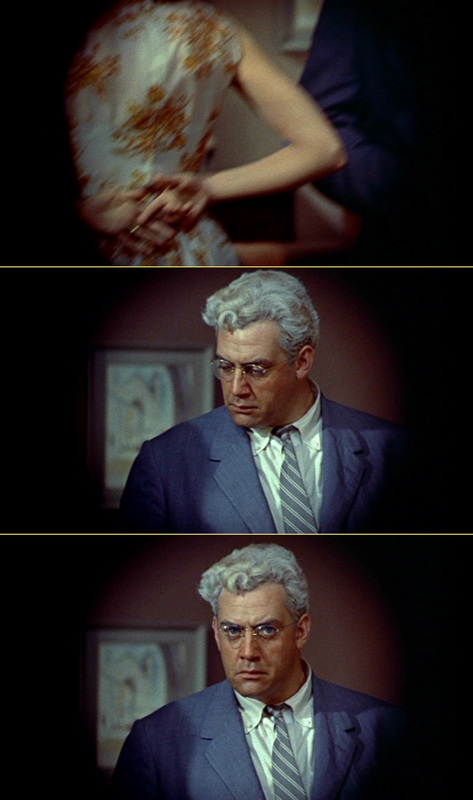 Hitchcock generally used color in a very subtle way, manipulating in over the course of his career somewhat less successfully than he did sound. 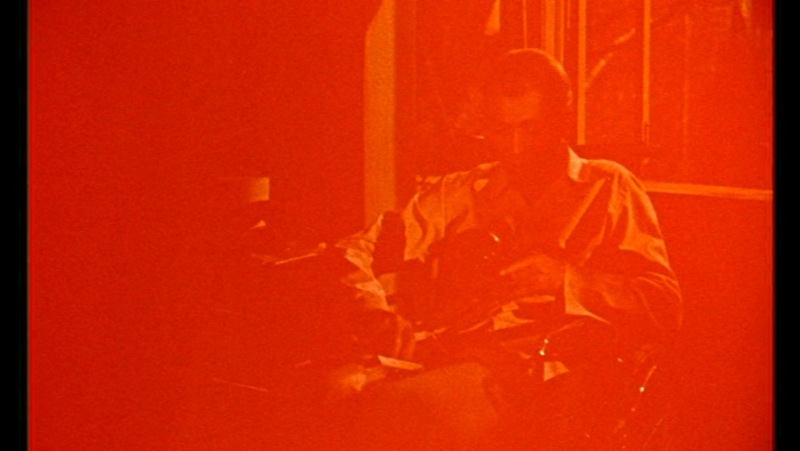 Here, however, is an example of Hitch using color to great effect, in what is only his third color feature. The day before Margot is scheduled to be hanged, Mark shows up at her apartment to beg Tony to say that it was all his doing. Mark has made up a story for him to take to the police that matches what actually happened almost perfectly, arguing that Tony could save Margot’s life, and all he would end up with would be a couple of years in prison. Tony refuses, saying the police would never believe such a wild story, but just then, Hubbard arrives at the apartment, claiming to be investigating another crime in the area. 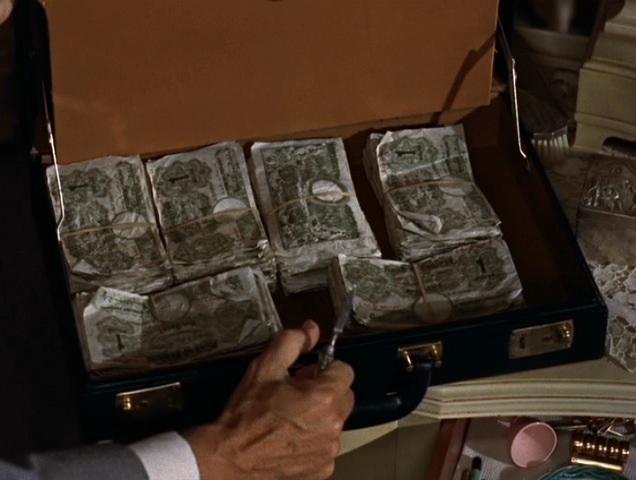 Mark, hiding in the kitchen while Tony and Hubbard talk, hears Tony telling Hubbard about a stolen attache case, Mark sees it in the kitchen with him, and opens it to find it loaded with money. Mark calls Hubbard and Tony, saying he has the case, and that Tony has something to tell Hubbard. Tony presents Mark’s story as ridiculous, and Hubbard agrees that no one would buy it. Hubbard leaves, but not before switching his overcoat with Tony’s. 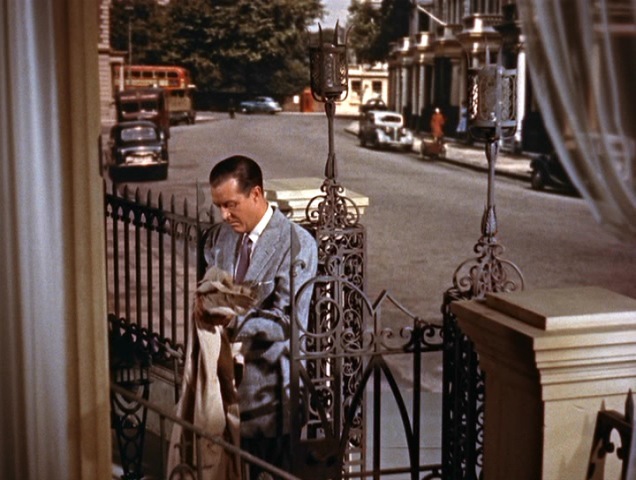 After Tony and Mark both leave, with Tony heading to the police station to claim his wife’s belongings, Hubbard slips back into the apartment, followed by Mark. Apparently Hubbard suspects that Mark’s story is close to the truth after all. The next to arrive at the apartment is Margot, escorted by the police. Hubbard tells Margot and Mark that he’s got a way to prove that Tony hired Swann and that Margot is innocent, one that involves a lot of key swapping and fast talk. Tony falls into their trap and reveals his own guilt, but takes it rather well, offering his captors a drink before they take him away. 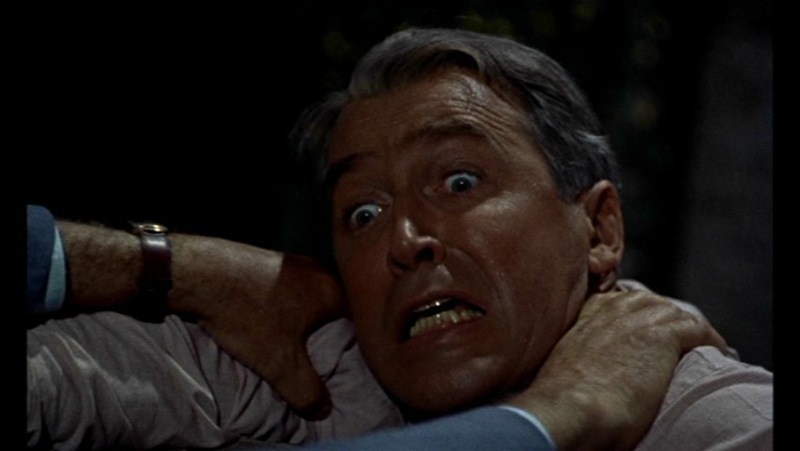 Hitchcock may have dismissed “Dial M” for several reasons: He was asked by Warner Bros. to make the film when his own project, “The Bramble Bush,” fell through. He did not go through his standard practice of story meetings and rewrites as he was accustomed to, possibly because he was not as invested in this project as he might have been with a project of his own choosing. Also, Warner Bros. insisted that the film be made in 3-D, although by the time it was released the 1950s 3-D craze was coming to an end. Lastly, and this is a more subtle point, the wily Chief Inspector Hubbard may have rubbed Hitchcock the wrong way, as competent police officers in Hitchcock’s pictures are few and far between. 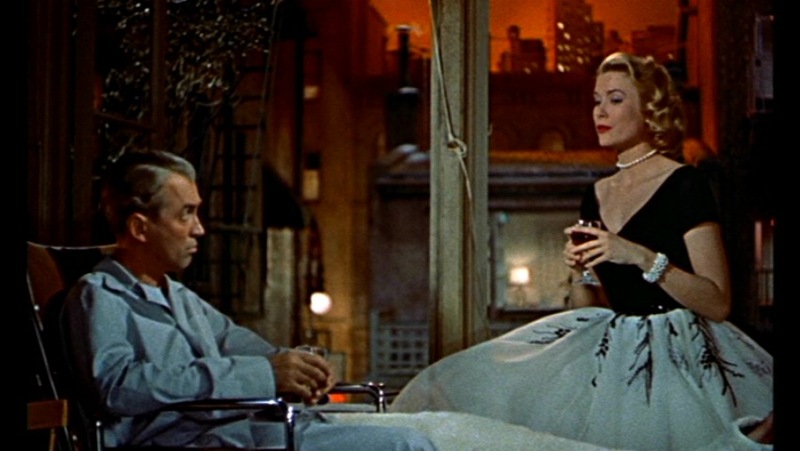 On the other hand, this is the film that first brought Hitchcock together with Grace Kelly, arguably his greatest female star. 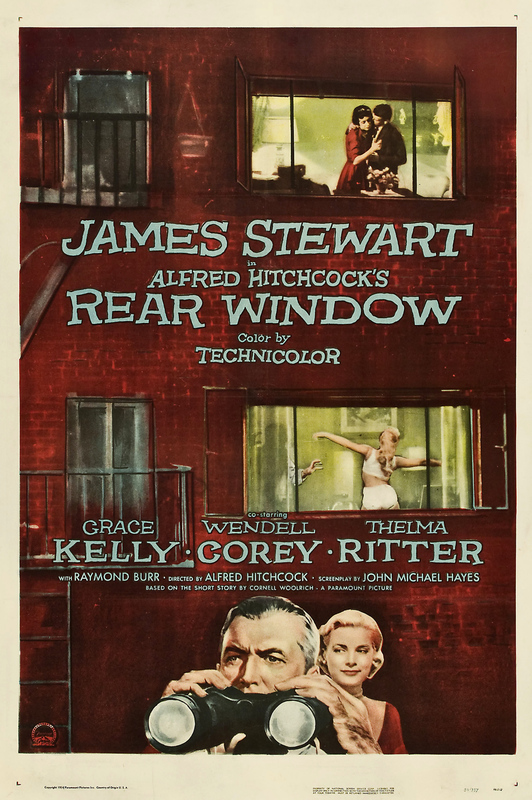 Although her performance here is very strong, she would have more assertive roles in “Rear Window” and “To Catch a Thief.” The rest of the cast is very good as well; John Williams as the Chief Inspector has a lot of fun, showing exasperation with Mark Halliday and racing around the apartment while waiting for the arrival of Tony at the end of the picture. 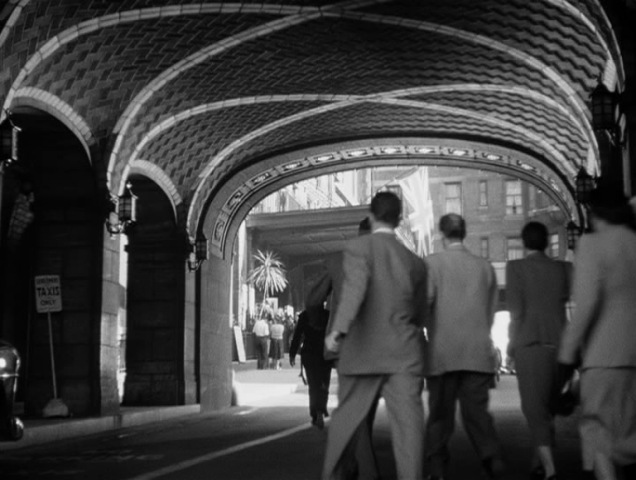 Nearly the entire film is shot in the confines of that one apartment, and Hitchcock, working with cinematographer Robert Burks, looks at that apartment from every conceivable angle. Although the apartment is sunny and bright, it is transformed at night into a moody, claustrophobic place. 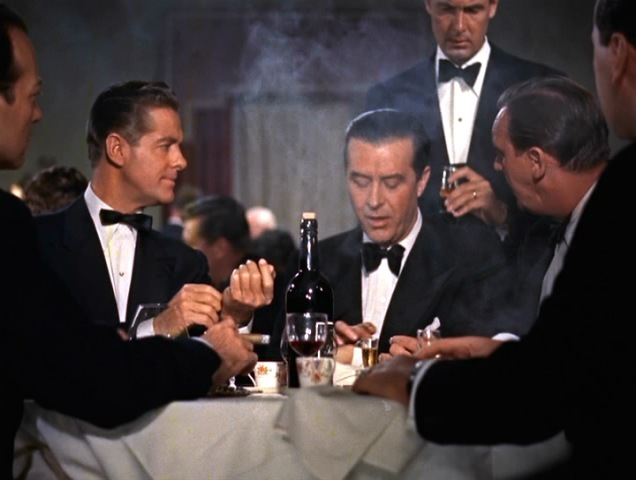 Hitchcock makes one of his more clever cameos in “Dial M,” appearing in a photo of Tony and Swann at a college reunion banquet. 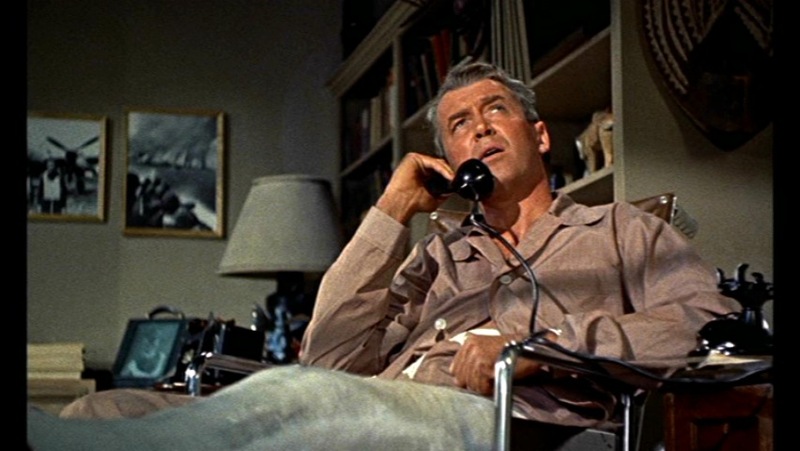 Oddly, there seemed to be a perfect moment for Hitch’s cameo that he ignored: On his night out with Mark, Tony waits at a phone booth to call home; surely the man finishing his call could have been the Hitch. 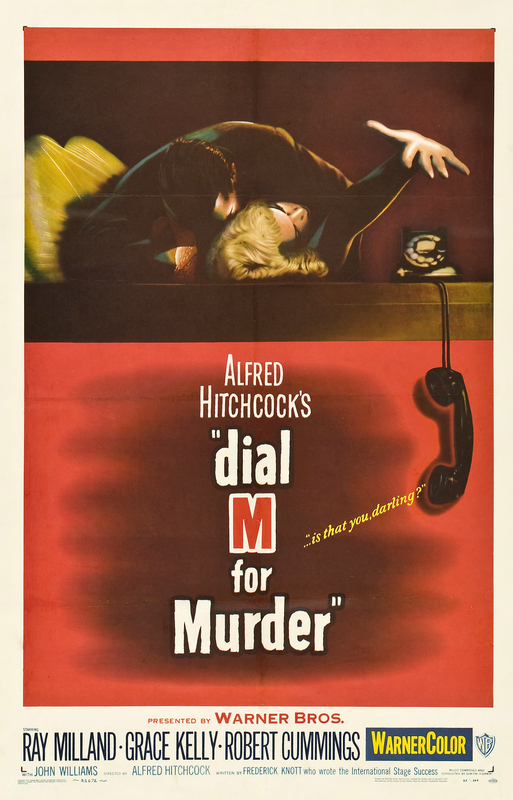 “Dial M for Murder” ends up being a very entertaining, if half-hearted, Hitchcock film. The story retains the feel of a stage play through most of the movie, especially given its cast of five characters. Also, some of the proceedings are hard to believe, such as the lengths Tony goes to so that Margot stays at home (prompting her to call him a baby) and the complicated explanation of lost keys that implicate Tony at the end. 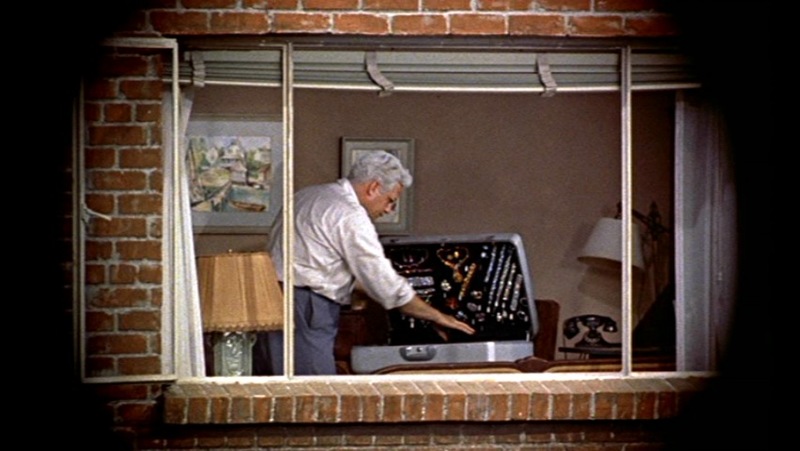 Undoubtedly Hitchcock was encouraged by how big a hit “Dial M” had been on stage; also, he probably was preoccupied with keeping that one setting, the apartment, visually interesting. On that count, he and cinematographer Burks score. Here’s a look at the trailer for “Dial M for Murder,” which relies heavily on review quotes. Still, it’s hard to imagine that any of Hitchcock’s many decades as a filmmaker could place more pictures on my list than the 1950s, which leads me to dub this era the Golden Age of Alfred Hitchcock. I realize I’m not going very far out on a limb with this, but let’s look at it based on more than just the overall superior quality of Hitch’s 1950s film output, shall we? 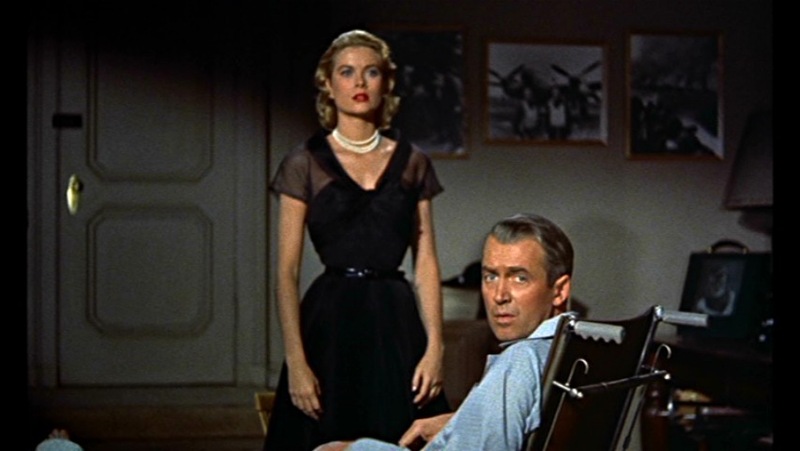 Alfred Hitchcock made three consecutive films with Grace Kelly, arguably his greatest female star, as well as two movies with Cary Grant and three with James Stewart. 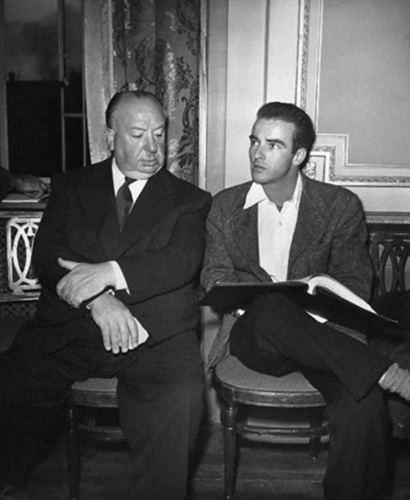 He made one movie each with the stars Marlene Dietrich, Montgomery Clift and Henry Fonda, as well as giving Shirley MacLaine her first role in a film. The 1956 movie “The Man Who Knew Too Much” featured the debut of the hit song “Que Sera Sera,” which won an Academy Award for Best Original Song. He filmed introductions to every episode of “Alfred Hitchcock Presents,” catapulting him from a fairly recognizable director to one of the most distinctive and captivating host personalities in the world. His drawling “Good evening,” his brilliant self-caricature and his morbid sense of humor are still recognizable today. 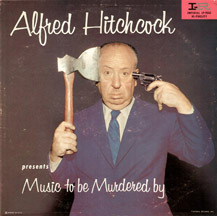 Music from the TV series was released on the popular 1958 album “Alfred Hitchcock Presents Music to Be Murdered By,” with Hitch on the cover. It’s still available on CD, along with the follow-up album, “Circus of Horrors” – and you can order it from Amazon here. 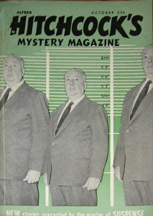 “Alfred Hitchcock’s Mystery Magazine” launched in 1956, and is still running today, putting Hitch’s face on newsstands every month through much of its run. 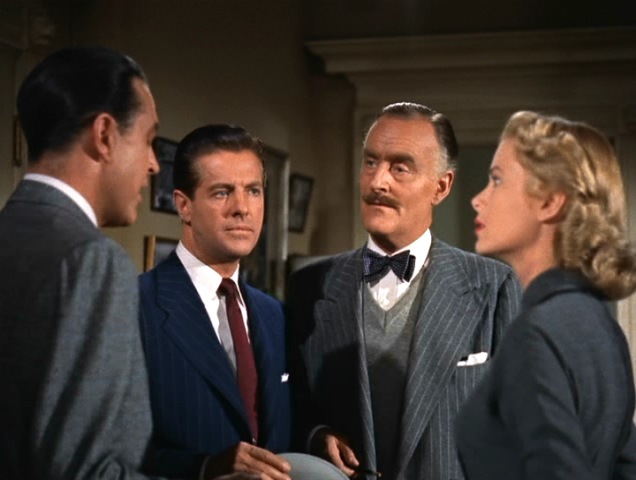 Although Hitchcock was not personally involved with the magazine, it featured original fiction and adaptations of TV episodes. It’s still running today, and you can subscribe to it here. 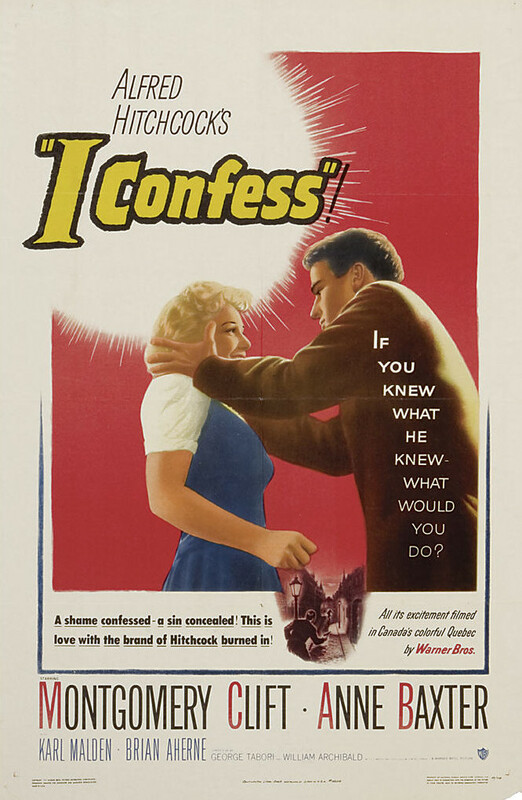 Released in 1953, “I Confess” was, as Alfred Hitchcock says, a film that dealt with very serious subject matter. At its core was the sanctity of the confessional, and how that sanctity could be misused. 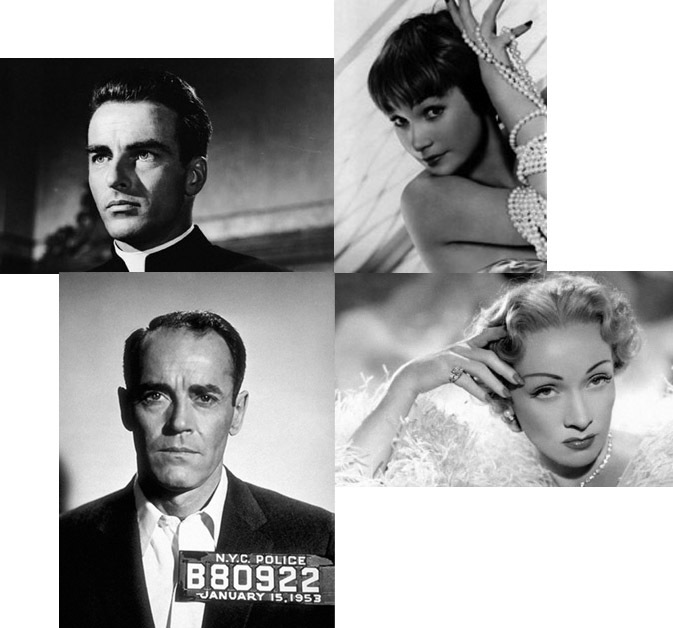 Starring Montgomery Clift as Father Michael Logan, Anne Baxter as Ruth Grandfort and Karl Malden as police Inspector Larue, “I Confess” is set in old Quebec City, and begins with the murder of a sleazy lawyer called Villette. 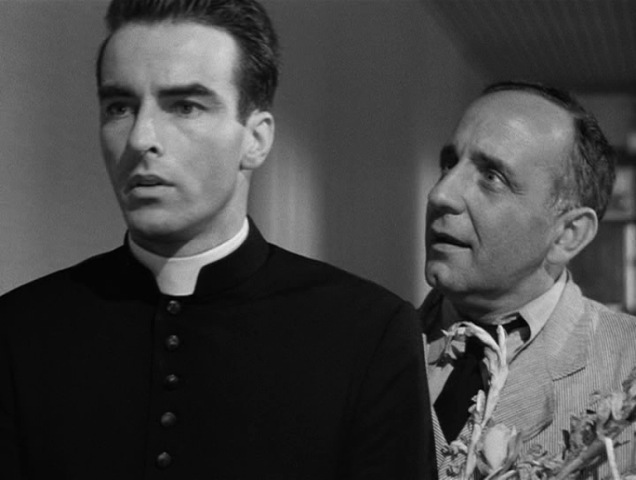 The figure leaving Villette’s office appears to be a priest, but as the figure reaches a church, we learn that it is a German immigrant, Otto Kellar, who works in the rectory. Logan finds him in the sanctuary, and Kellar insists that Logan take his confession. Kellar admits that he killed Villette in the course of robbing him. Knowing that Logan is bound to secrecy, Kellar will not turn himself in. Meanwhile, Larue questions Logan, but is stymied by Logan’s refusal to explain fully what he was doing at the time of the murder. Larue’s curiousity is further aroused by Logan’s meeting with a blond woman – Ruth Grandfort – but again, Logan won’t answer any questions. Grandfort insists on meeting Logan on a ferry, and the police easily follow her, tying the two together. Brought in by the police, Grandfort is forced to admit that although she is married to a politician, she has loved Logan for years, since before he became a priest. After serving in the army, Logan reunited with Grandfort, and while she did not tell him she had married in his absence, they spent an innocent night together in the countryside, stranded by a storm. The next morning, they discovered that they had taken shelter on the property of Mssr. Villette, who promptly starts to blackmail Grandfort as Logan enters the priesthood. Ruth’s attempt to clear Logan’s name backfires, as her story ends half an hour before Villette’s death – and gives the police a reason that Logan would have wanted Villette dead. Meanwhile, Kellar has been pressuring Logan to keep their secret – not that Logan had shown any signs of revealing it. While the police arrest Logan, Kellar arms himself with a pistol. Logan is put on trial and exonerated, due to lack of hard evidence, but his reputation is ruined. While a mob jeers him outside the courthouse, Kellar and his wife watch. Kellar’s wife catches up with Logan and tries to tell the police what really happened, but Kellar shoots her, then takes refuge in the Chateau Frontenac. Logan and the police catch up with Kellar, who calls Logan a coward, as he assumes that Logan told the police who actually killed Villette. While Logan tries to reason with Kellar, he opens fire and is gunned down by the police. As he breathes his last, he begs Logan to give him his last rites – which Logan does, painful though it may be. 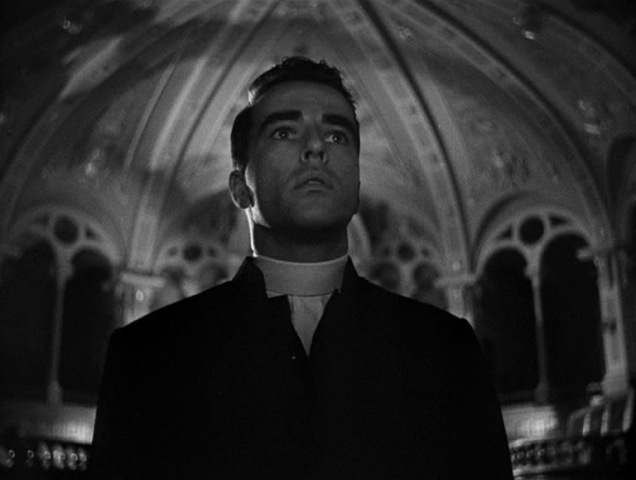 However heavy handed it may be, “I Confess” is a fascinating film. The setting is captured beautifully by cinematographer Robert Burks, who brings Vieux Quebec to life, from its cobblestone streets to its many churches to Chateau Frontenac. 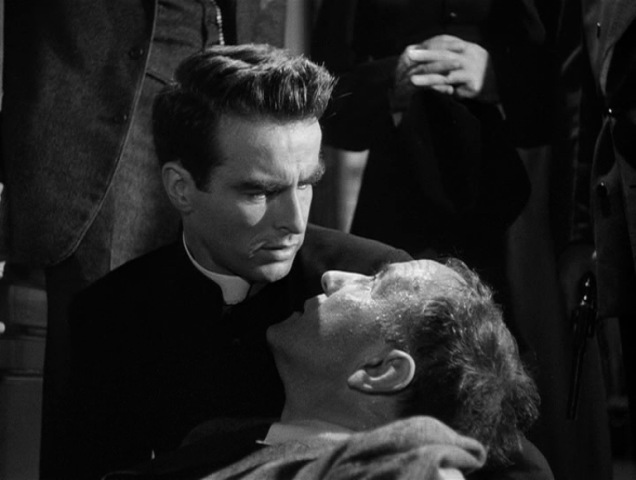 Hitch’s own Catholic upbringing gives the film tremendous depth as Father Logan becomes a martyr to his own dedication. 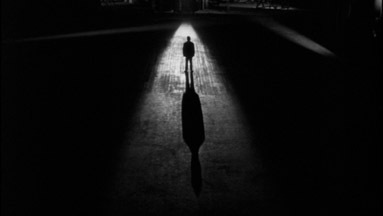 (Hitch appears at the very start of the film, walking across a causeway.) There are more than a few symbolic shots of Clift’s face, beautifully lit and positioned at the center of perspective like a Renaissance painting. He continually turns the other cheek as he is accused by the police, threatened by Kellar and damaged by the well-intentioned Grandford. Kellar, played by O.E. Hasse, is a strange villain. He claims to have killed Villette in the heat of the moment, but his cunning suggests otherwise: He stole a cassock to commit the crime in, trapped Logan and tries to frame him during the trial, shoots his own wife rather than risk going to trial himself, then begs for absolution when he is dying. This may have been Hitchcock’s first work with a Method actor, and he did not particularly like it. Unlike his earlier stars like Cary Grant or Joseph Cotten, Clift was trained to channel his own personal history and feelings to create his role. 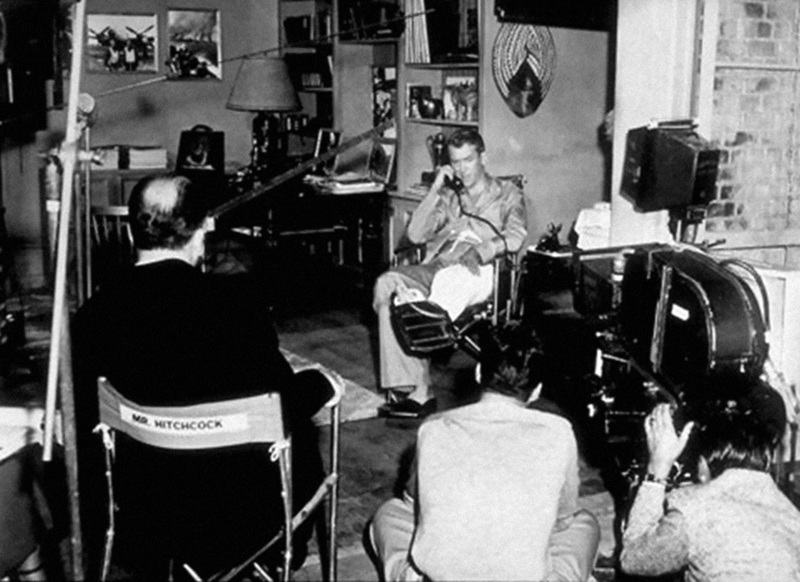 Motivation was central to the Method actors, and it was something Hitchcock did not care to delve into – famous, he said that an actor’s motivation was his paycheck. 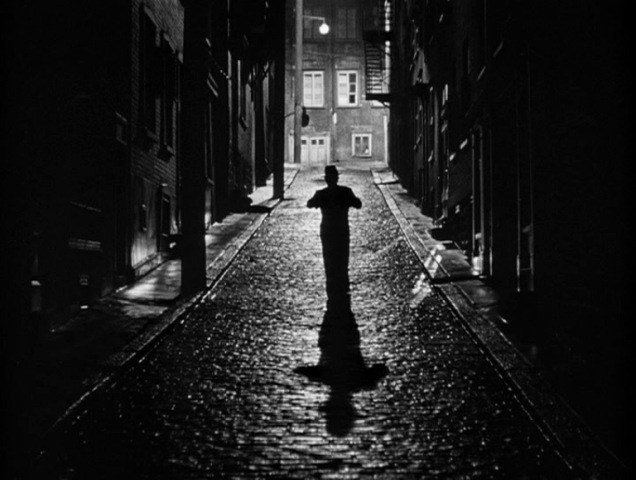 Hitchcock expected his script and camerawork to provide all the insight the audience would need, and even went so far as to override an actor’s instincts to move in a certain way so as to preserve the composition he was trying to create. 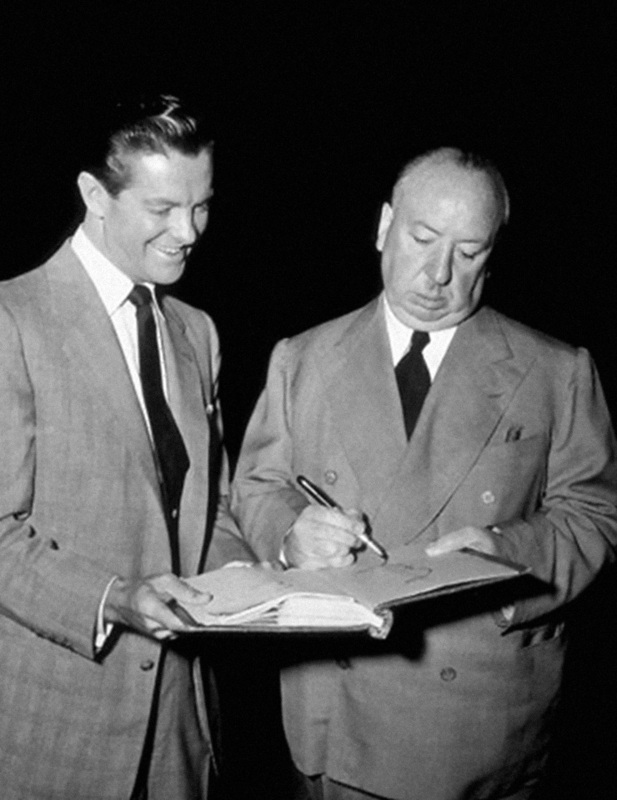 Hitchcock did not work again with any of the stars of “I Confess,” although he entered the Method school again when he worked with Paul Newman in “Torn Curtain,” thirteen years later. “I Confess” was toned down considerably in development; originally the affair between Logan and Grandfort was supposed to have been current, not just from the days before he joined the priesthood, and the couple was supposed to have had an illegitimate child as well. In the years before “Psycho,” strings were usually reserved for love scenes. The “Psycho” score, with its throbbing and screaming sounds, changed all that forever. The aggressive pluckings and bowing of the strings in this concert perfectly underscored the tension, mystery and emotions of the movie. In fact, when one considers the physical motion of the bow on string, one is reminded of a stabbing motion. A whole stage of bows moving while a giant knife moved toward flesh on the big screen above the orchestra proved to be quite an experience for the audience at Orchestra Hall. The orchestra did a fine job with their string work suggesting the shrieking of birds, the slashing of blades and frenetic action. Arguably, this score and the one for “Jaws” by John Williams are the most well known and quoted movie soundtracks in history. In fact, John Williams used a motif from the “Psycho” score as an homage in his “Star Wars” soundtrack. According to film editor Paul Hirsch, Williams used a three note motif from Psycho at the point in “Star Wars” where Luke, Han and the others pop up through a hatch after not being discovered by storm troopers who had just searched the Millennium Falcon. Hirsch worked with both composers and he states that Williams and Herrmann were friends and colleagues. One would think it is safe to assume that someone reading a blog called “Hitchcock and Me” would have some idea about what the film “Psycho” is about. Adam will be reviewing this film soon, but suffice it to state that “Psycho” involves killing going on in a lonely house and motel in the middle of nowhere. Major characters include motel owner Norman Bates, his mother, and Marion Crane. Sarah Hicks conducted the piece. Surprisingly, Sarah first took to the stage dressed in seemingly nothing more than a towel when she first stepped on the stage. She then dropped the towel to reveal herself dressed as the Marion Crane character (played by Janet Leigh in the movie.) Maestro Hicks spent the first half dressed as Marion in a sleeveless shirt, blonde wig, and pants. After a twenty-minute intermission, the Minnesota Orchestra’s principal conductor of pops and presentations came back dressed as Norman Bates’ mother with old lady dress and grey wig. Sarah had her own flat-screen monitor on which to follow the film in order to synchronize the live string players with the action on the screen. This she and the orchestra achieved extremely well. For a conductor used to slowing down and speeding up an orchestra during a symphony, conducting music for a movie being shown live is a technical challenge. To this listener, Sarah Hicks and the Minnesota Orchestra met and exceeded the technical and the musical challenges inherent in such an undertaking. Many members of the orchestra also eschewed their normal formal dress to don Halloween costumes including clown suits and psycho killer outfits. Of course, those costumes are not mutually exclusive. 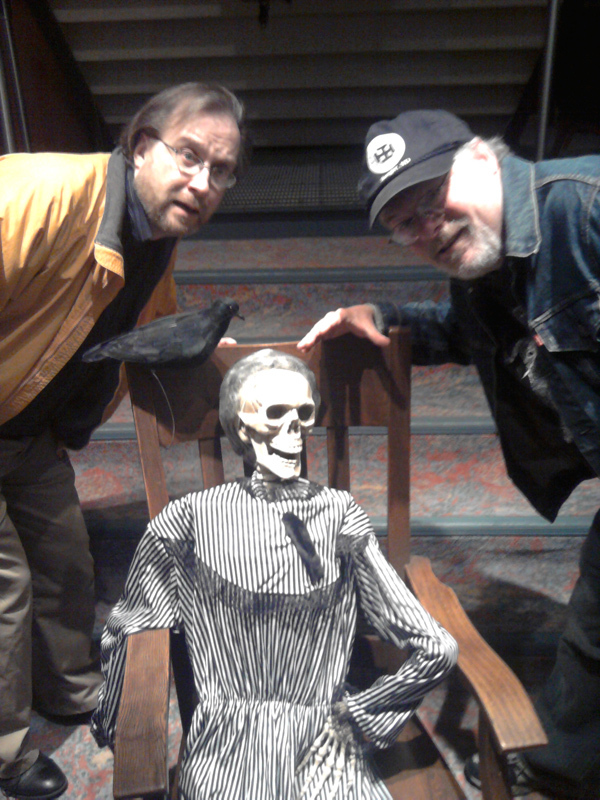 A model of the corpse of Norman Bates’ mother sat on a rocking chair in the lobby of Orchestra Hall where fans lined up to take her picture. At least, I assume it was a model . . .
Keating DuGarm (right) with Mike Callies and . . . Mrs. Bates, is that you? In addition, snacks and beverages including movie fare such as popcorn and candy were sold in the lobby and patrons were encouraged to bring these in to Orchestra Hall. Fans even laughed and gasped throughout the movie at the appropriate points. Patrons crazily crunched and munched on their snacks. This is not normally allowed during normal concerts where silence until the maestro puts down her baton rules the Hall. The huge screen showing the film above the orchestra on the stage could be seen easily even up in the third balcony where I was. My brother and sister-in-law (Katy and Delano DuGarm) and I subscribe to a series of orchestra performances cheap seats close to these every year. After all, Orchestra Hall in Minneapolis was built to have great acoustics no matter where one sits. Normally, going to a symphonic concert is not much of a visual experience. Seeing the string players lit up below the screen from my perch on high reminded me of seeing documentary footage of soundtracks being recorded while a given film was being screened. Next up for Bernard Herrmann fans in the Minneapolis/Saint Paul area will be the staging of his opera “Wuthering Heights” this coming April by the Minnesota Opera company at the Ordway Center in Saint Paul. More details can be found at www.mnopera.org. Meanwhile, Hitchcock fans in this area can attend the just-started Guthrie Theater production of “The Thirty-nine Steps” which runs October 30 to December 19, 2010 in Minneapolis. More can be found at www.guthrietheater.org. Royal D. Brown, “Herrmann, Hitchcock and the Music of the Irrational,” Cinema Journal, Spring, 1982 p. 35. Thanks to Mike Callies for attending the concert with me and making suggestions after reading a rough draft of this piece. Also, Martin Simmons for attending and for taking the picture, above.